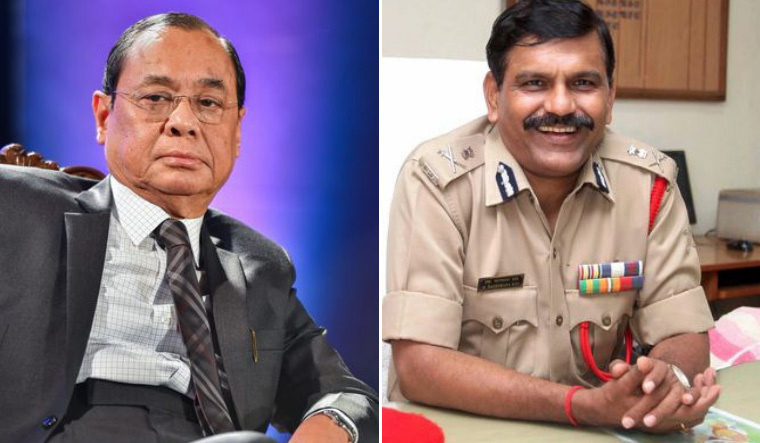 The Supreme Court on Tuesday held former acting CBI director M. Nageswara Rao and the director of prosecution (DoP) of the agency S. Bhasu Ram guilty of contempt of court and asked them to remain seated in the courtroom till it rises as punishment. The Supreme Court imposed a fine of Rs 1 lakh on Rao and Ram for wilfully disobeying its order by transferring CBI joint director A.K. Sharma who was probing the Bihar shelter home sexual assault cases. The Supreme Court had issued a contempt notice against Rao for transferring Sharma. On Monday, Rao submitted an unconditional apology to the Supreme Court in an affidavit he filed. Rao admitted he should have taken the court's permission before transferring Sharma.